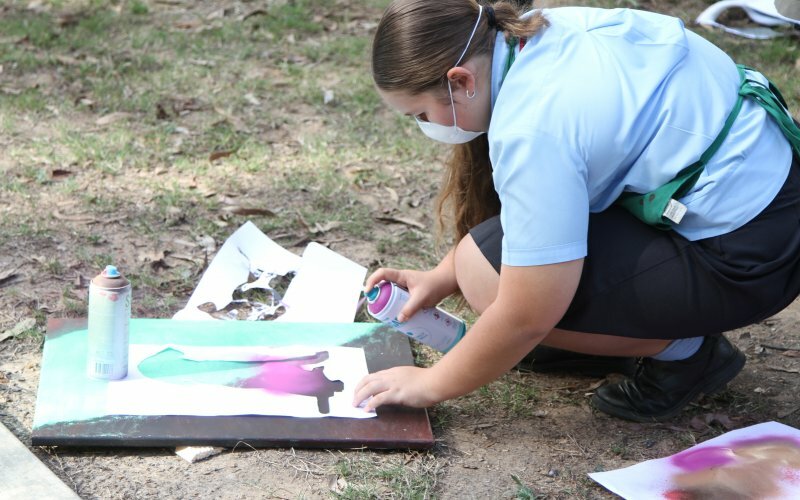 Week 10 has been an extremely busy week for students at the College, as they engaged in a variety of learning and community experiences outside of the regular curriculum. 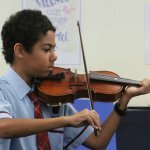 These are a highly valuable aspect of their maturing and their learning journey, providing them with the experiences to develop creativity, project based learning skills, teamwork and perseverance. The academic curriculum is of course designed to be both challenging and supportive, creating opportunities for students to succeed. However, it is often the case that in such classroom based scenarios the students are using and honing learning strategies and skills that they already possess. Activities Week has been designed to address other objectives and, specifically, provide opportunities to learn entirely new things. Learning something for the very first time is a very powerful experience – coming to something entirely new means that a person has to be agile in their thinking, resourceful and work well with others. These are transferable skills, and also often reinforce the learner strategies that they already have to solve problems. 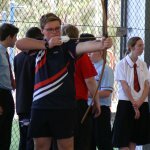 At a previous school, I organised a teacher professional learning day in which all staff had to elect an activity to try that they had not done before. Activities such as water colour painting, judo, golf, climbing walls and many more were available, and the teachers were asked to participate and as they did so to focus on what it is like to try something new. Those teachers, mature and well educated adults, reported that it was extremely challenging and that it often left them feeling vulnerable or frustrated and having to find coping strategies. Expand Your Horizons Day put your children in similar safely vulnerable situations, and gave them opportunities to problem solve in exactly the same ways. Choosing from activities as diverse as medieval archery, archaeological surveying, cake decorating, CPR, geography habitat studies, myth busting, philosophy, financial literacy help in Smart Earnings, virtual reality experiences, STEM work and investigations into space, the students of course also experienced that other aspect of learning something new – the exhilaration and sense of adventure, and the satisfaction of learning and progressing with a new skill. Also as part of Activities Week, we were keen for the whole community to come together to celebrate our culture. On Tuesday afternoon, a series of student teams took on staff and Old Collegian teams in volleyball, netball, mixed touch and theatre sports. 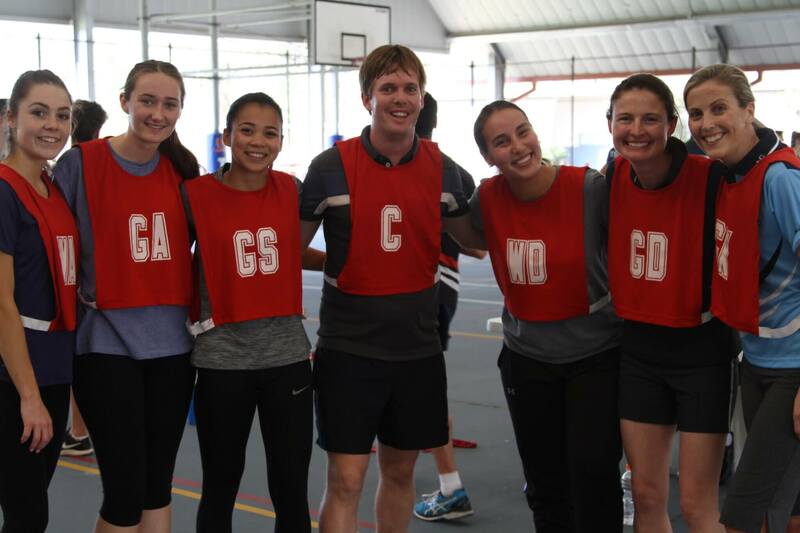 On the day, the student volleyball team was too strong for the adults (2-1), but the old collegians and staff were winners in netball (21-14), touch (11-2) and in a close contest theatre sports (68-67). A comment about this last activity, which may not be familiar to you all. Hosted in the Rosewood Resource Centre and by Ms Megan Jensen, the two teams engaged in a series of improvised games much like those that used to be seen on the television show ‘Whose Line is it Anyway?’ It was an absolute triumph, with the student and staff audience laughing along as the competitors demonstrated their acting, fast thinking and comedic sides. Whilst it might seem like a cliché to write this, but the real winner of course, results aside, was the College culture. Seeing the joyful ways in which these competitions were conducted, with enthusiastic support from the sidelines creating atmosphere, was fantastic. A crucial part of this was the returning Old Collegians. It is always wonderful to see them at the College, and they may not fully understand the excellent role modelling they are doing for our younger students. My great thanks to all of the Old Collegians who attended and took part, for they were a valuable part of the experience. As you will know, this year we have increased our focus on service, and as part of Activities Week, students had opportunities to be other person centred and serve the environment, with choices to plant trees, assist with charitable organisations City Hope and Uniting Care, and take part in a sponsored walk to raise funds for Walk for a Drought, to support our farming communities. I was delighted with the take up of these activities, and the growing understanding amongst the student body of their privileged position and their responsibility to help others. 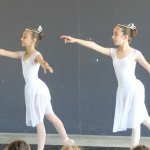 The Primary Inter-Clan Creative Arts Festival was also another great point of celebration in the week, with students having the opportunity to showcase and display their talents in music, dance, public speaking and art. As audience members, those Primary students not participating were as always a credit to themselves, to their parents and to the College, as they sat attentively and warmly appreciated and congratulated those taking part. However, the real stars of the show were, of course, the performers. 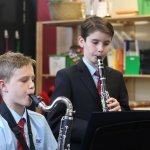 Their dedication and hard work was evident in the quality and enthusiasm of their performances, the ways that the sounds, movements, colours and vibrancy brought the Primary Campus to life was wonderful. Activities Week was a great success as outlined above, but of course providing such experiences for students is not achieved without the significant hard work of staff. My thanks to all of those staff who supported or participated, but in particular those key staff who took a key role in organisation: Mr Andy Holmes, Director of Extra-Curricular Engagement; Mr Graham Swinton, Director of Student Activities; Ms Sherina Parker, Primary Campus Creative Arts Coordinator; and Anneliese Alloway, Director of Creative Arts. In addition, for their excellent administrative support in facilitating the events, I would like to thank Mrs Megan Henriksen, Mrs Louise Brown and Mrs Emma Mitchell. 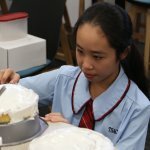 Term 3 has been extremely busy and has finished with an exciting week. I wish all students, families and staff a happy and well deserved break. 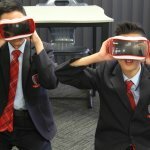 Please stay safe, and I look forward to seeing you all in Week 1 of a busy Term 4, which will include significant events in the College calendar such as Year 9 Camp and Year 11 Biology Camp, Live to Dance Showcase, the P&F SummerFest, Speech Night, Night of Reflection and our Year 12 Graduation. There is such a lot to look forward to, but for now – have a great break, and God bless.